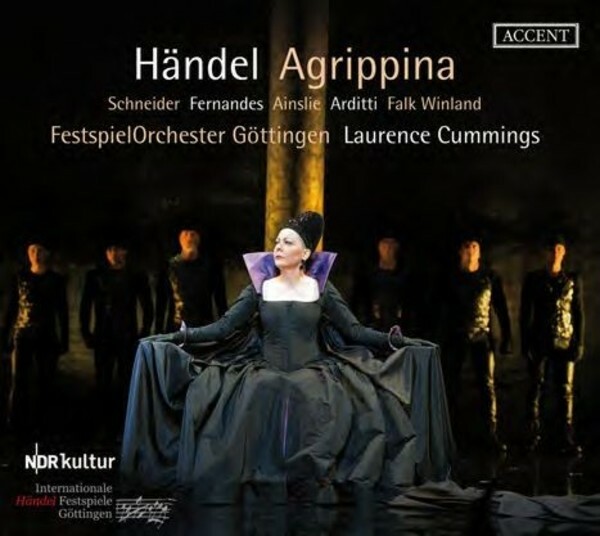 This new 'Agrippina' from Accent Records was performed for the first time in a new critical edition from the Halle Handel Edition at the G�ttingen Handel Festival in 2015. The performance was received enthusiastically by the press and public alike. Will Agrippina emerge triumphant or will her adversaries manage to cut through the jungle of political conspiracy? Handel wrote this, one of his most impressive works, in Venice in 1709, achieving, with this tale about Rome�s great female schemer, his first truly resounding success as an opera composer.